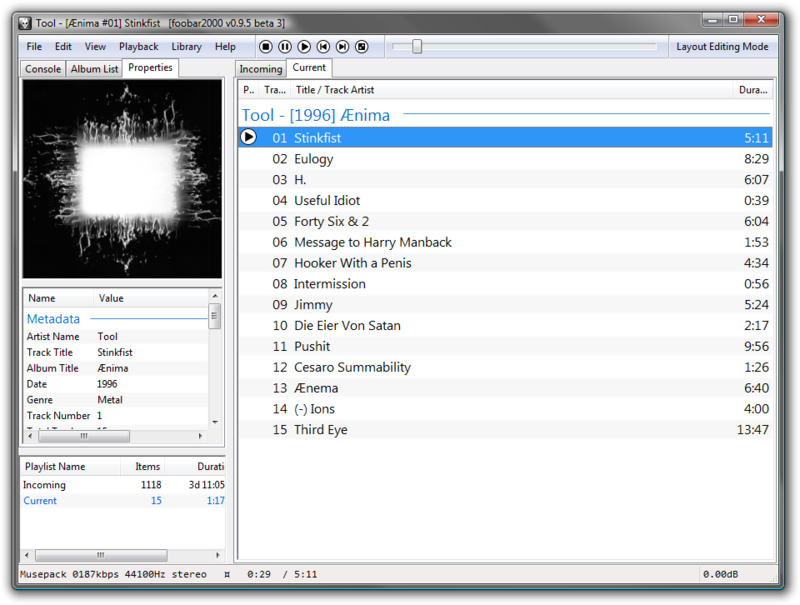 foobar2000 is an advanced audio player for the Windows platform. Some of the basic features include full unicode support, ReplayGain support and native support for several popular audio formats. Checked foobar2000_v1.4.exe on Virus Total (VT). Having said that I checked the previous version I have been happily using. I'll give it the benefit of the doubt - and use it. This article was definitely helpful and has sparked up my interested. i use this is convert my audio files to AAC. This is an outstanding program and it works great! I get the same notification from AVG...I am not going to download any more versions until it can be determined that it is free of malware/viruses/trojans etc. This file seems to have been infected with a trojan: version "foobar2000 1.3.12". Both the file from BN and also directly from the author's download page give the same results from Avira AV when running the installer .exe file: Detection: TR/AD.NsisInject.8f0f0c (Cloud). Does NOT seem to be a "false positive" detection. This occurs immediately after double-clicking the .exe installer, before any further option choices would appear, such as allowing installation of Google Chrome, or other 3rd-party money generating add-on software. The software is very useful, except for the above noted problem. 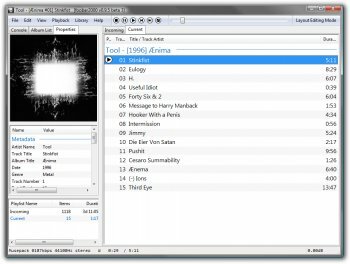 Superb player - Personally I prefer AIMP mainly for the skins but foobar is one of the best. foobar2000 for audio player + another program for video player is the way to go! My second choice, it's super versatile and the sound it's pretty good (not as good as AIMP) but it needs a decent equalizer urgently. Cons: ... were it not for suspect virus payload. Bottom Line: Checked foobar2000_v1.4.exe on Virus Total (VT). Pros: This article was definitely helpful and has sparked up my interested. Cons: This article was definitely helpful and has sparked up my interested. Bottom Line: This article was definitely helpful and has sparked up my interested. Bottom Line: i use this is convert my audio files to AAC. This is an outstanding program and it works great! Still the BEST, thank you for a GREAT player. Use it daily to stream radio and music from the Net, works as it should and always did. Haven't tested the streaming to see if it's better (will leave it running today and will check this evening to see if it managed to retain connectivity to SomaFM) but the addition of the Export function for the error reporting on file integrity checking is enormously appreciated. Also have to check WASAPI with my Logitech USB Z-Cinemas to see if that now works properly as well. It didn't stall out on some 15,000 lossless files across my network either - awesome! Tentative FIVE stars. Streaming problems I iterated before aparrently solved - the player held tenaciously to SomaFM for well over 12 houts when it previously would inexplicably stop after 45 minutes (DeadBeef on Linux wouldn't falter over the same timeframe). Unfortunately, WASAPI 3.x remains broken with my USB Z=Cinemas where 2.x worked fine. So-called "improvements" should not remove previously available functionality - it seems to be a lesson that many devs today (ranging from Microsoft, GNOME and Mozilla to this one) need to learn. This player is devolving into a buggy mess of late. WASAPI still doesn't work properly, streaming on occasion hangs the player and file operations similarly will stall out on large numbers of files. I expect better from this player - this is Winamp-style behavior (and that's NO compliment).